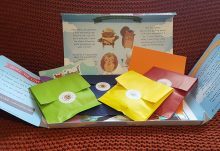 We were really looking forward to receiving the Mud & Bloom box. 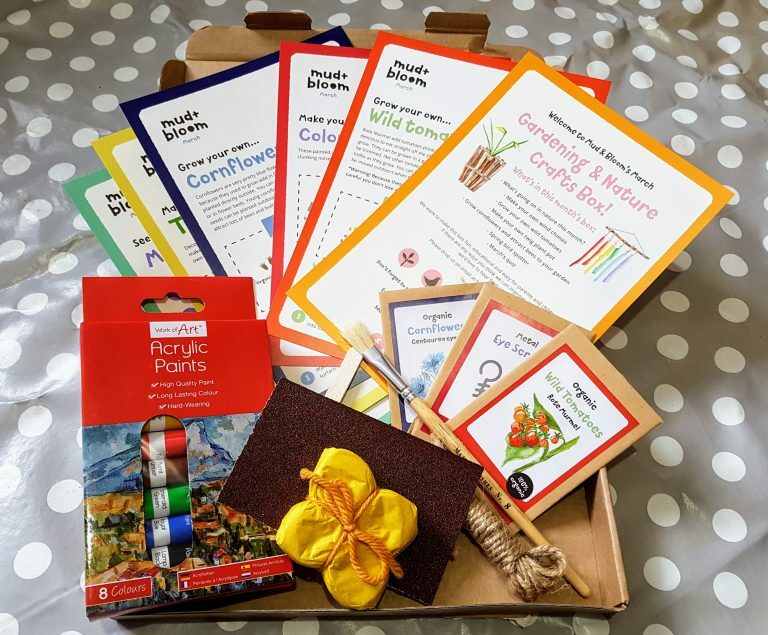 I love the idea of getting more connected to nature and each box contains everything you need for four seasonal growing and craft activities along with instructions, nature news and games. 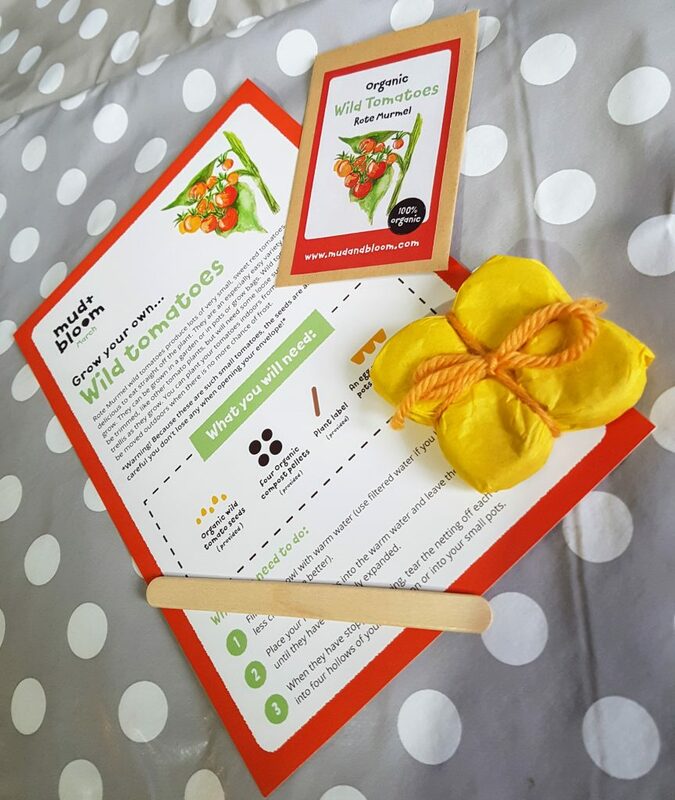 The aim is to teach children about the seasons, plants, insects, birds, soil and rainfall. Like most 5-6 year old kids, my son is addicted to screens so we were really hoping this would help us with some fun games and activities that would divert attention away from a screen and on to the world around him. My first reaction was one of surprise that quite so much could be crammed into such a small box. I was blown away by the range of items and activities and very impressed at the value for money. 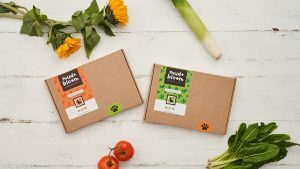 Each box is £9.95 (free postage) but this goes down to £7.95 per box if you get a 12 month subscription. 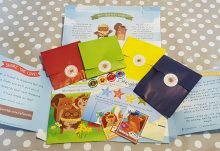 You can also buy a single box, or get a 3, 6 or 12 month subscription so there are lots of options. I have to say a single box or 3 month subscription would make a wonderful present. The boxes are aimed at 3-8 year olds and I would say this is just about right for the activities involved. 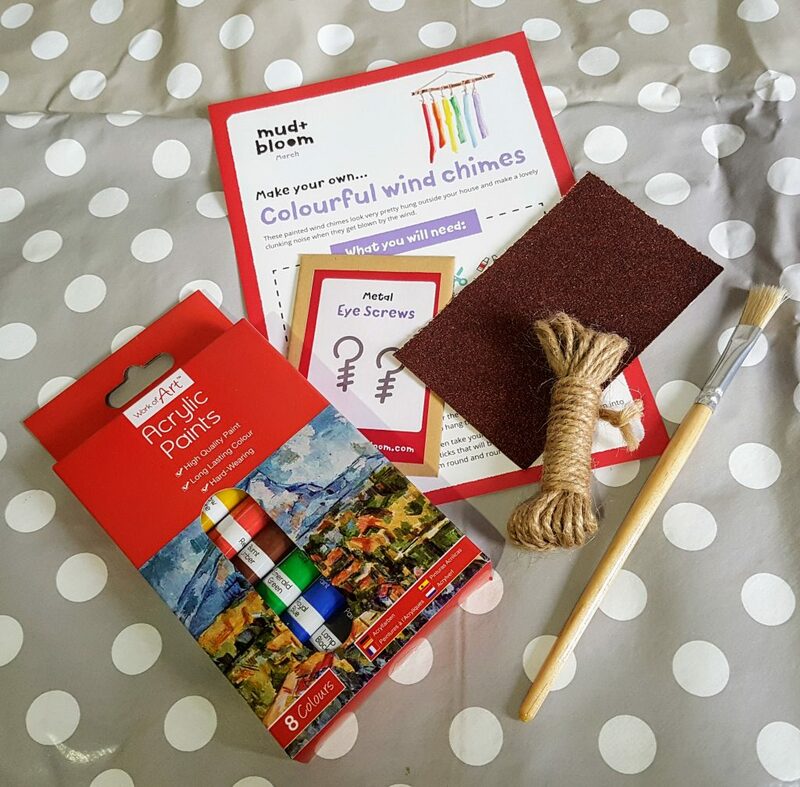 I think our favourite activity was the wind chimes. The paint set was very high quality and I had never thought of using metal screws in this way. It was really satisfying to go on a hunt for twigs, sand them down, put the hooks in and paint them. It meant we went on an adventure to find the twigs and then spent time choosing which colours to use. We also talked about how wind chimes work and where we could hang ours when it was finished. This is our finished piece, not a bad effort! I have a real love hate relationship with plats. I love them but I have about a 50% success rate and do end up killing quite a lot of our house plants so I was a little worried about the next bit! 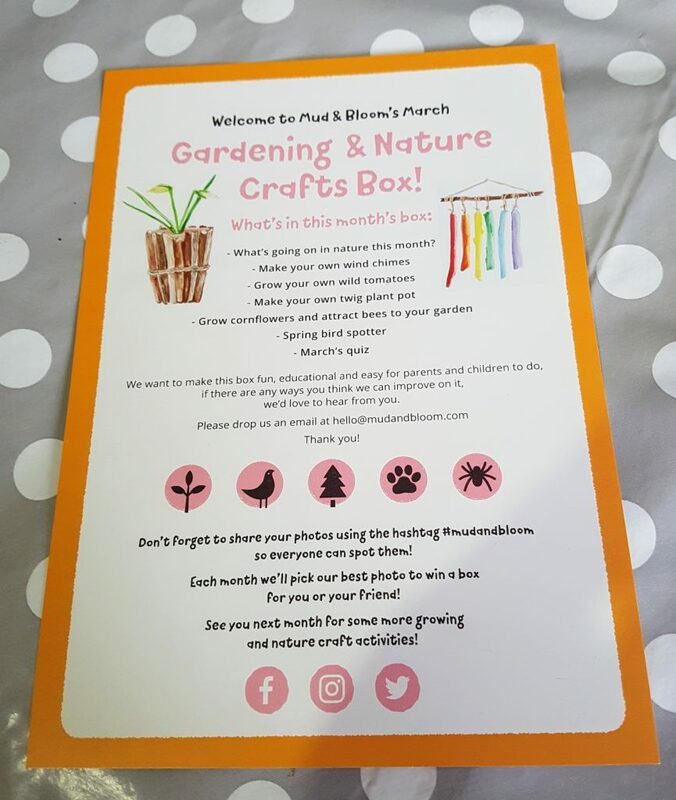 We didn’t have any containers to use when we were working on the activities in this box (just after recycling day!) so we ended up using actual plant pots but you could easily use egg boxes or yoghurt pots. Somehow I managed to lose the lolly markers too (oops!) 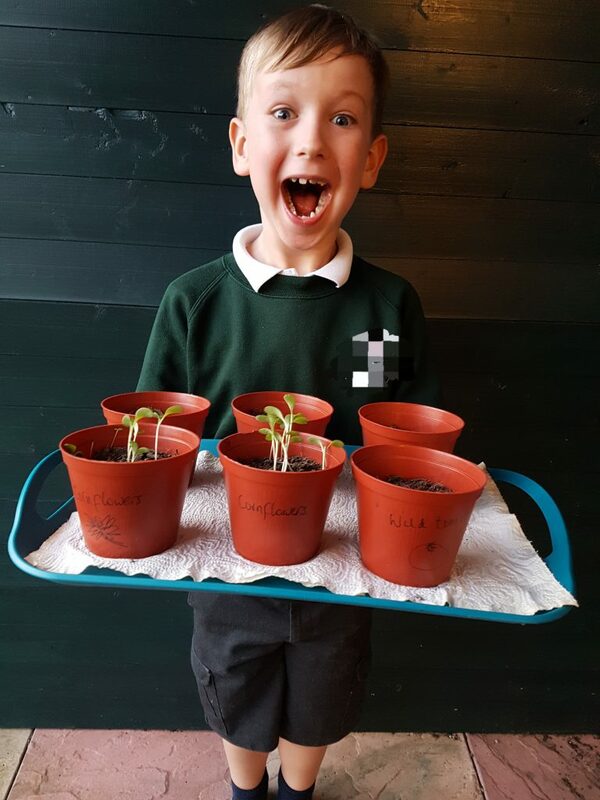 so we used markers to write on our pots but it was great fun following the instructions together and watering the seeds regularly. 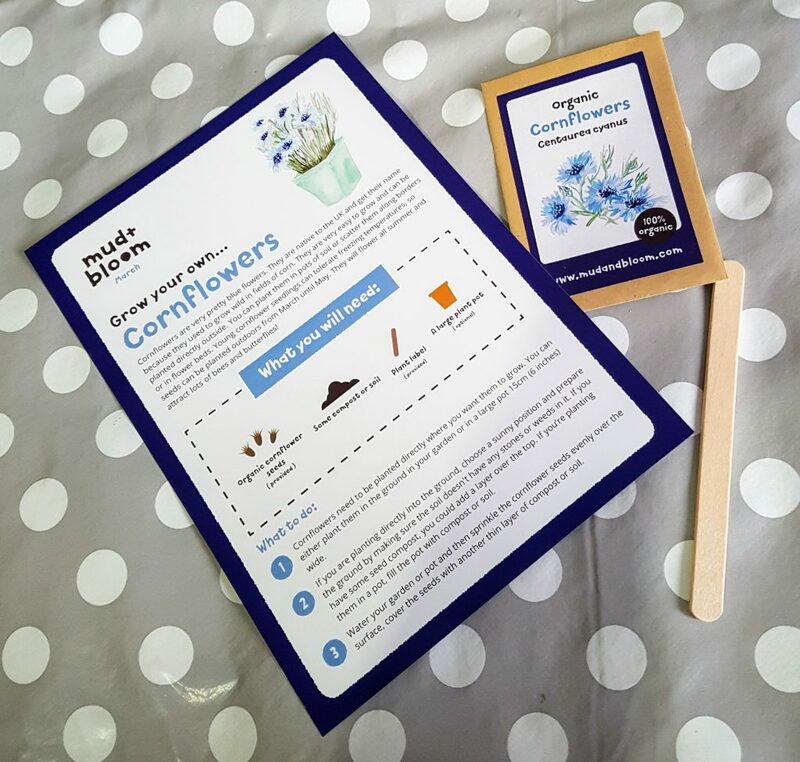 You can plant the cornflower seeds outside but we had horrendous weather at that time so opted for safety and planted inside. We’ll be moving them to our garden soon because as you can see all but one of our seeds has started to grow now! You can probably tell from this photo that the Mud & Bloom box was a definite hit with our screen-obsessed son. And it was definitely a hit with me too! 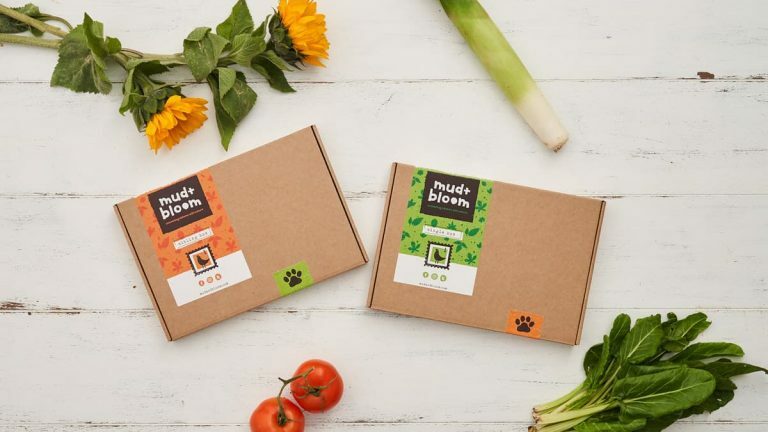 We would definitely recommend the Mud & Bloom subscription box. 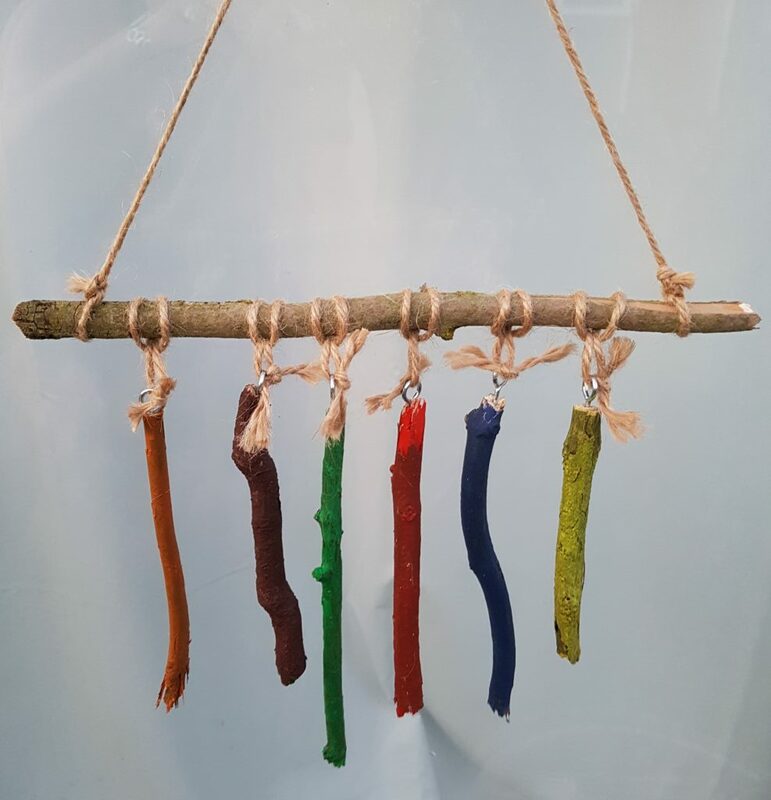 The only reason this didn't get a clear 10 out of 10 rating was because we struggled to find enough twigs to make our own twig covered pot so we are yet to do this...and with the wind chime it felt like there was a lot of 'twig' activity. Hence the deduction of one point on selection of products. But that is being incredibly picky. 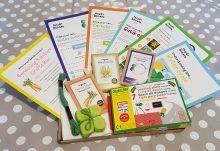 I thought the value for money for this box was amazing and will definitely be looking into buying a 'one off' or '3 month' subscription for friends and family later in the year. How would you rate Mud & Bloom ? Rating: 3.6/5. From 17 votes.